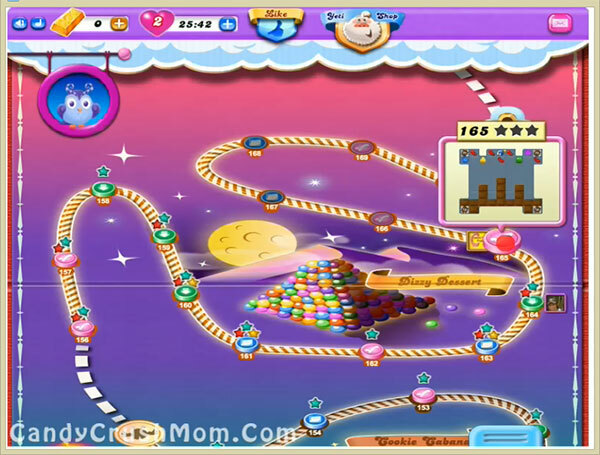 This level have normal difficulty and you need to make 11 striped candy that could make problem but as you already played lot of level it wont make problem. For this level you should just try to make striped candy or colorbomb. If you lucky and got colorbomb then you should try to combine with striped candy to reach all requirement. You should also try to play more from bottom to break chocolates and stop them from not increasing automatically. We completed this level with 103320 score by using special candies with balancing the Odus owl and got two star score at the end of the level.